For the past 20 years, three-time GRAMMY Award winner Lu Diaz has been mixing and producing some of the biggest artists in the music business. He has over 40 Gold and Platinum Awards and, along with his brother, Hugo, is responsible for launching Cuban rapper Pitbull to fame. Lu sat down with our friends at Avid to talk about producing, developing talent and the Pro Tools features he can’t live without. Joel Hamilton is a musician, producer, engineer, studio owner and seven-time Grammy-nominee. He lives in Brooklyn, New York where he owns and operates Studio G Brooklyn, alongside Tony Maimone and Chris Cubeta. In this Podcast Extra Interview, Technical Editor, James Ivey chats with Matt Boudreau, host of the Working Class Audio podcast. It was a little less than 12 months ago I first met engineer and producer John Hugo in the shell of what would become his space at Electric Beach studios which he shares with Ash Workman. We returned to sunny Margate in Kent to find out how the build has progressed. 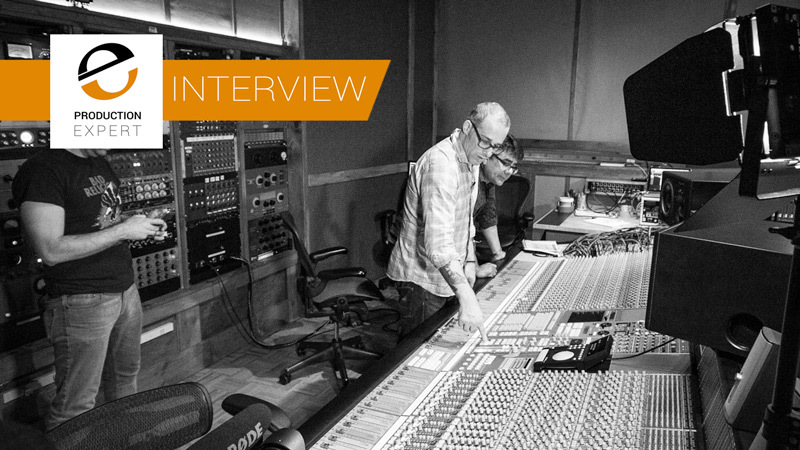 In this video interview for Pro Tools Expert, Technical Editor James talks to Producer and Engineer Jack Ruston about their experiences recording stereo and mono overheads at the stunning Old Chapel Studio. James also talks to owner of The Old Chapel, Paul Burton. They talk about Paul's love of drums and how he has geared The Old Chapel to be the place for recording live drums. 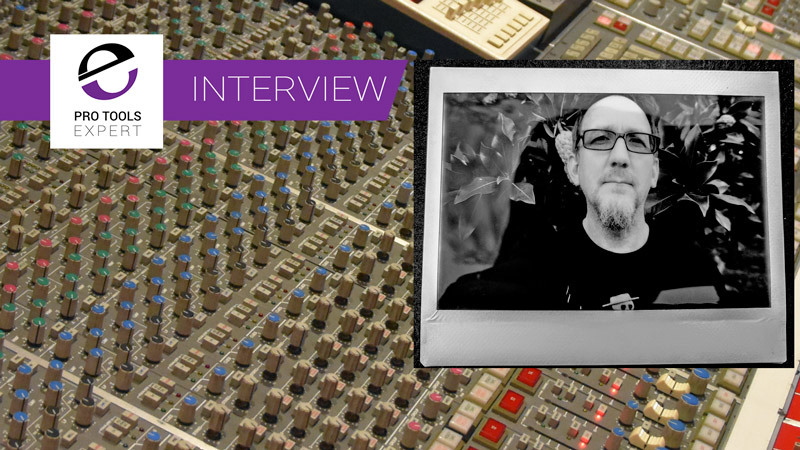 In this Pro Tools Expert Podcast Extra interview, Technical Editor James Ivey talks to Joey Sturgis of drum sample library and plug-in developers Drumforge and his own company Joey Sturgis Tones or JST. In this video for Pro Tools Expert, Technical Editor James Ivey talks to Bryn Wildish of Audient about his stunning 24 channel Audient ASP 8024 Heritage Edition console. In July new speaker brand Kii invited professional sound engineers and producers to Red Bull Studios in London to listen to the Kii THREE professional studio monitors. For those of you who weren't able to make the event in London we have this interview recorded at this event where inventor Bruno Putzeys, chatted to Russ about speaker design, and why he ended up designed the Kii THREE Active Monitors. Sound Designer and Supervisor Jonah Guelzo has produced an interesting Behind-The-Scenes interview series with Filmmaking Industry Professionals, covering all aspects of Filmmaking from sound, to picture and editing. In this last episode, Jonah speaks with Digital Matte Painter, Tim Matney (Underworld: Evolution, The Golden Compass, Transformers: Revenge of The Fallen) about using visual trickery to transport audiences into augmented realities, and magical new worlds. Sound Designer and Supervisor Jonah Guelzo has produced an interesting Behind-The-Scenes interview series with Filmmaking Industry Professionals, covering all aspects of Filmmaking from sound, to picture and editing. In this episode, Jonah speaks with Senior Digital Colourist, Mark T. Osborne (Need For Speed, It Follows) about continuing to hone his craft through the art of colour, and setting the tone and mood for each film. Sound Designer and Supervisor Jonah Guelzo has produced an interesting Behind-The-Scenes interview series with Filmmaking Industry Professionals, covering all aspects of Filmmaking from sound, to picture and editing.In this episode, Jonah speaks with Producer/Director Marc Hutchins (Crossing Streets, Finding Faith) about learning a wide range of skills, and building relationships within the film community to become a better and more well-rounded filmmaker. In this interview for Pro Tools Expert, Technical Editor James Ivey talks to John Rivers, owner of Woodbine Street Studios in Royal Lemington Spa. In this video for Pro Tools Expert, Technical Editor James Ivey talks to film composer Patrick Jonsson. Sound Designer and Supervisor Jonah Guelzo has produced an interesting Behind-The-Scenes interview series with Filmmaking Industry Professionals, covering all aspects of Filmmaking from sound, to picture and editing. In this episode, Jonah speaks with Sound Designer Harry Cohen (The Mask, Django Unchained, Star Trek, Prometheus) about using sound design to keep audiences entranced by rich, sonic tapestries. In this video from Musik Messe 2017 in Frankfurt Germany, Pro Tools Expert Technical Editor James Ivey talks to Igor Levin, the owner and chief designer of Antelope Audio. Sound Designer and Supervisor Jonah Guelzo has produced an interesting Behind-The-Scenes interview series with Filmmaking Industry Professionals, covering all aspects of Filmmaking. In this episode, Jonah speaks with Film Composer, Daniel Ciurlizza about designing custom sounds to help create original soundtracks that are truly one of a kind and powering films through music. In this video interview Pro Tools Expert Technical Editor James Ivey talks to award winning mastering engineer Matt Colton about his work at Alchemy Mastering, his processes and his gear. 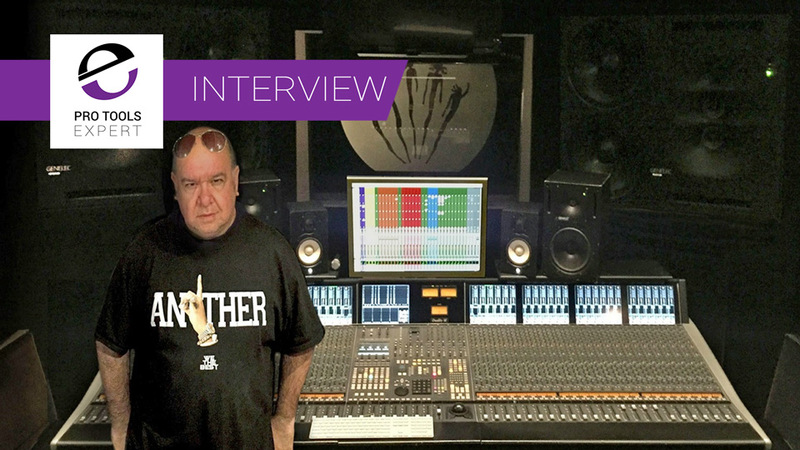 Interview - Producer & Remixer "JB"
In this video for Pro Tools Expert, Technical Editor James Ivey talks to recording engineer, producer and re-mixer Marc "JB". Recorded in JB's new home studio, they chat about the studio design and build process and some of the gear, and toys that JB has on hand to make real sounding Dance / EDM tracks.